An accessible manual on the principles and practice of preaching. Can be used to train a new preacher, develop a growing preacher, or to encourage and sustain a seasoned preacher. This accessible manual on preaching unpacks the core of how a preacher must think and what they must do. And it focuses our eyes on the central message - the gospel. 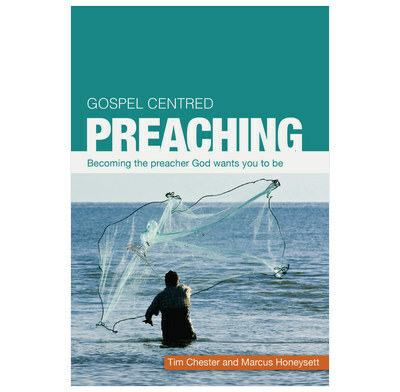 Use this resource to train yourself and others as a new preacher, to develop your thinking and skills as a growing preacher, and to encourage and sustain yourself as a seasoned preacher. 6.2" x 8.8" x 0.4"
This book/study guide is excellent. Although I preach regularly, I'm always looking for encouragement and help to keep going. This book has given me plenty of fresh ideas and new ways to think about preparing and preaching. As I look to train people to give Bible talks over this year "Gospel Centred Preaching" has become my new textbook! It's full of practical examples and exercises ideal for training others. Well done Tim and Marcus!